It’s not exactly a secret that we’ve been huge fans of LUCIA for a long time. First appearing on our pages back almost two years ago to the day (at the time of writing) with the fuzzy brilliance of Best Boy, the Glaswegian outfit band have gone from strength to strength since then, releasing killer singles like Saturday Is Dead and Melted Ice Cream and wowing festival crowds across the UK. 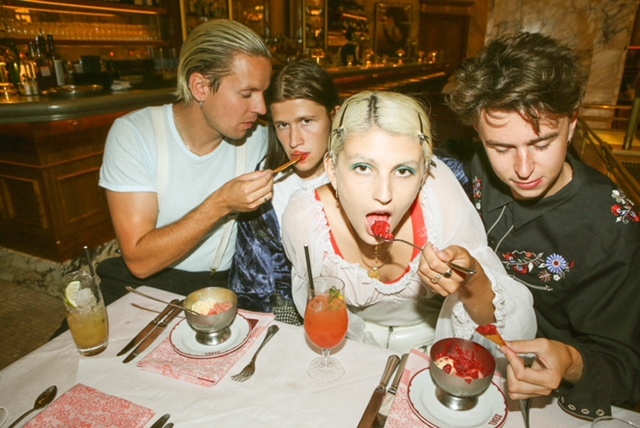 Combining all the best bits of punk, shoe-gaze and 60s’s girl groups, LUCIA have created a sound of their very own, with frontwoman Lucia (the clue’s in the name) Fairfull establishing herself as a bona-fide modern pop star, a term we use in the kindest possible way. The contrast between music and lyrics is a bit of a trademark of LUCIA’s by now, helped along by the almost drawled vocal delivery which sees lyrics like “I only love you in the summertime/And summertime’s nearly done” nestled in one of the most uplifting and unapologetically cheerful choruses you’ll hear all year. Between Summertime and its predecessor Melted Ice Cream have delivered two of the most impressive singles of the year and with an EP in the offing, it’s just a taster of what’s to come from this hugely talented band.